If you’ve ever had a friend or family member who was depressed or have been depressed yourself for any length of time, you know how debilitating it can be. Sad, moody, angry, anxious, isolated; I could go on and on with words that describe how miserable it is. The bottom line is: It’s not the way you want to live the rest of your life. You may be very good at hiding behind a mask, but hiding it from others does nothing to help how you really feel. Some teens’ masks rely on their looks and personality to portray happiness and fun, while inside they feel sad and disgusting. The following quote from one of my former client’s journals describes how confusing it can be. Others’ accept the negative things they have been told about themselves in the past; thus the way they see themselves now is negative. They forget the innocent child they used to be; the one on the inside that they really still are, or could be. They put on an angry defiant mask and act all tough and bad. They become the “mean girl” or “bully” we all try to change, but don’t really try to understand. Under that mask is still that little girl feeling guilty and wanting to grow up into the confident, mature young lady she pretends to be, but believes she’s not. However depression gets expressed, it is never a good thing and usually (hopefully) leads to trying to get some help. It may be talking to your friends, your family, someone at your church, a counselor at school, or a therapist. No matter where you turn for help, the message is somewhat the same: “You need to have a more positive attitude”. “You have to look at things differently”. “You have to change the way you think”. These are all true, and they are all easy to say, but change is a lot more complicated than that, and not so easy to do. This is where your faith becomes important. Faith may be a little different for everyone. 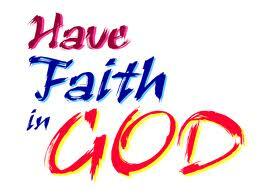 We may belong to different religious groups or attend churches with different names, but faith in God is very similar. We believe in a God that loves us and will protect us. Read that again. We believe in a God that loves us and will protect us. When life has treated you so unfairly, it is hard to remember that. It can be hard to believe. It becomes too easy to believe all the negatives you have been told. Those negatives that take away your self-esteem and confidence are lies. Yes, bad things may have happened to you, but you are not those bad things. You may have even done bad things. That does not mean that you are those bad things. You are loved. That is the change you need to make in your thinking. Your faith tells you, “You are loved”. Believe that instead of the lies you have been taught to believe. Dealing with depression is not always a matter of changing your attitude or thoughts and feelings, it may be more about remembering and holding on to the knowledge that you are loved. There are people in our lives who have lied to us and made us believe that we are worthless, but God has put people in our lives that bring his love to us. Another journal entry from “Behind the Mask” explains it well.